Water damage is not something anyone wants to think about very often, but when it happens it is important to act quickly. Water quickly ruins everything, especially carpets, rugs and upholstery. High Quality Carpet Cleaning knows how to help residents and businesses recover from water damage. Many people think that the only option after water damage is to throw everything away. This is usually a mistake, because most water damage scenarios can be remedied if taken care of quickly. The professional team of experts at High Quality Carpet Cleaning can remove excess water and revitalize filthy carpets and rugs quickly and easily. It is important to take quick action in the case of water damage. This is because water deteriorates just about everything it touches. It also is the perfect medium for bacteria, mold and mildew. Once bacteria and pathogens take a foothold, it is hard to get carpets, rugs and upholstered furniture back to their original condition. Contact High Quality Carpet Cleaning and have experts start the restoration process. No matter if water damage is caused by a flood, broken pipe, grey water backup or sewer problems, carpet-cleaning technicians are ready to assist. Having a team dispatched to the scene with specialized equipment is the only way to truly bounce back from water damage. Let the professionals rescue your carpets and rugs and save money with High Quality Carpet Cleaning’s unbeatable prices! It is impossible to soak up water, dirt, and debris while destroying bacteria without professional assistance. The only answer is to contact the New Jersey area’s most respected carpet cleaning professionals. High Quality Carpet Cleaning has an award-winning team of certified carpet cleaning experts that know how to attack water damage. Contact them now and have a team dispatched immediately to the scene with commercial-grade equipment that can handle the job within just a few hours. Sure, every water damage scenario is different, but no other company has the stellar reputation for getting to the source of water damage problems, eliminating them quickly and saving customers money. Do not throw everything out and start over, have professionals come in and restore carpets, rugs and upholstery at deep discounts and keep your wallet from springing a leak. High Quality Carpet Cleaning is the only company in all of New Jersey with the industrial equipment and qualified expertise to handle water damage scenarios. They can dispatch a crack team of carpet cleaning technicians to assess the extent of water damage and take immediate action to restore carpets, rugs and flooring. They can also blast away contamination caused by bacteria, mold, mildew and other organisms that can threaten health and destroy delicate materials. Contacting the experts at High Quality Carpet Cleaning assures customers top quality service at the best possible prices. Save any home or business by contacting High Quality Carpet Cleaning immediately after damage and find out why customers keep coming back to the most trusted cleaning company in New Jersey. 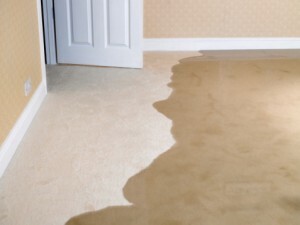 Visit www.highqualitycarpet.com and get an appointment for water damage restoration now!